The company’s Chinta homes in Bandar Kinrara, Puchong. The Chinta units have a combined GDV of RM119mil, and are due to be completed by the end of this year. Property developer I&P Group Sdn Bhd is on track to launch properties with a combined gross development value (GDV) of RM3bil this year, says its group managing director Datuk Jamaludin Osman. He tells StarBizWeek that sales in 2012 will be driven by new property launches in Bandar Kinrara, Alam Damai, Alam Impian, Alam Sari, Temasya Glenmarie and Bandar Baru Seri Petaling in the Klang Valley as well as Taman Pelangi Indah, Taman Rinting and Taman Perling in Johor. The group is a wholly-owned subsidiary of Permodalan Nasional Bhd (PNB). Jamaludin says in 2012, the group hopes to do better than the RM1.4bil in revenue it recorded last year. “We are on track. 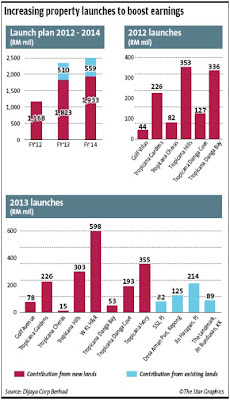 Our 2012 turnover has crossed the halfway mark (of last year's revenue) to date,” says Jamaludin. In the final quarter of this year, the group is planning to launch three-storey terrace houses and apartments at its freehold 200-acre Temasya Glenmarie mixed development in Shah Alam. “The exclusive apartments with limited units has a view of the golf course. “They will be competitively priced and be value for money”, says Jamaludin. It should be noted that at Temasya Glenmarie, I&P has recorded impressive take-up rates for its launch of 154 units of Citra double-storey superlink and 60 units of Anggun double-storey semi-detached homes in March this year. Observers have described the buying response to the launch as “overwhelming”, with a few thousand people turning up to enter the ballot for the units, which were priced from RM975,888 to RM3.55mil. In September, the group will offer additional three and four-storey shop offices in Bandar Baru Seri Petaling. The three and four-storey shop offices, with built-ups ranging from 4,498 sq ft to 11,673 sq ft, will have price tags starting from RM3mil. Jamaludin is expecting a strong response to the Zone J8 shop offices launch, based on the success of past launches of the group's commercial units in Bandar Baru Seri Petaling. This year, the total GDV of shop offices launched in this township is RM441.2mil. Meanwhile, I&P is also optimistic about sales for its high-end landed homes in Bandar Kinrara, Puchong. Bandar Kinrara, which is on 1,904 acres of freehold land, is the group's largest township development in the Klang Valley. Launched in 1991, Bandar Kinrara is a matured township with double-storey terrace and semi-detached houses and bungalows as well as the Kinrara Golf Club (KGC) that offers an 18-hole public golf course and club facilities. I&P describes Bandar Kinrara as a low-density and integrated township that offers a range of exclusive home design concepts and a proven track record of continuous growth in capital appreciation. One highlight here is the Chinta units, consisting of 11 double-storey bungalows and 22 semi-detached homes, which are designed based on a contemporary tropical concept. Built on elevated ground overlooking the KGC, the living rooms of each bungalow and the semi-detached homes get a commanding view of the golf course. 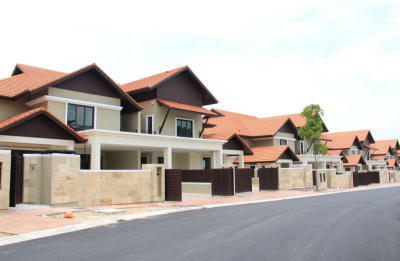 The Chinta bungalows feature built-ups ranging from 4,994 sq ft to 5,730 sq ft and are priced from RM3.89mil to RM4.88mil. Land area for the bungalows ranges from 7,332 sq ft to 11,920 sq ft. As for the Chinta semi-detached homes, they feature built-ups ranging from 4,874 sq ft to 4,994 sq ft and are priced from RM2.88mil to RM3.89mil. Land area for the semi-detached homes range from 4,856 sq ft to 8,610 sq ft. The Chinta units have a combined GDV of RM119mil, and are due to be completed by the end of this year. Limited units are available for sale now. Also available are the Chantek double-storey semi-detached houses, which have limited units available, and are priced from RM1.83mil to RM2.58mil. With built-ups ranging from 3,097 sq ft to 3,579 sq ft, the Chantek units also have a contemporary tropical design concept and are due to be completed by end-2012. Meanwhile, four units of the Astana double-storey bungalows were launched in June, with price tags ranging from RM3.48mil to RM5.49mil. The exclusive Astana units, featuring built-ups ranging from 5,394 sq ft to 7,940 sq ft, are completed and ready for immediate occupancy, as they adopted the build-then-sell (BTS) concept. Land area for the Astana units range from 8,116 sq ft to 14,728 sq ft.
Two Astana units have been sold, and the bungalows come with a special sales package comprising fully sponsored stamp duty for transfer as well as legal fees for sales and purchase agreements, free kitchen cabinets, air-conditioning units for selected bedrooms and a central vacuum cleaner. In Bandar Kinrara, there are also plans for serviced apartments, semi-detached homes and bungalows as well as retail and commercial elements with a combined GDV of RM2.1bil on the remaining 400 acres of undeveloped land. The group has a remaining landbank of 5,175 acres for future development, with 64% of the landbank located in the Klang Valley and the balance in Johor. There are moments in a company that its direction and fortunes take a turn for the better. For Tan Sri Danny Tan Chee Sing and Dijaya Corp Bhd, its first metamorphosis took place over two decades ago. Tan, a budding developer with his company Dijaya back then, had the good fortune to come across the opportunity to buy 1,000 acres of rubber land on the fringes of the upmarket Bandar Utama for a meagre RM2 per sq ft. The nondescript land was slowly landscaped into undulating slopes with sprawling mansions called Tropicana Golf & Country Resort, creating a desirable address in Klang Valley that can rival the more famous and older Kenny Hills and Damansara Heights. “I always believe in being flexible. With the Tropicana Golf & Country Club, I tell my people to always be flexible and try to understand our housebuyers' needs. They spent so much money building their houses here. Let them build their 3- and 4-storey houses. If we can do something for them, let us do it,” says Tan, the CEO of Dijaya Corp. In the process of having exclusive homes that are manned by help most consider a luxury, the value of the once rubber estate has grown dramatically. Today, the land is said to be worth RM350 per sq ft.
“In those days, nobody wanted the Tropicana Golf & Country Club land. I bought it for RM2 per sq ft and today it is worth RM350 per sq ft. I should have kept it for myself!” laughs Tan. But like most land that reach that sort of valuation, it is a signal of maturity. What's left of the 1,000 acres is just 36 acres but the profit that Dijaya has made from selling and developing the land has helped it expand throughout Peninsular Malaysia, having acquired new land in the Klang Valley, Johor Baru, Penang and Sabah. Dijaya's other landmark development in about the Klang Valley is Tropicana City Mall in Petaling Jaya, which is today a bustling enclave of activity surrounded by office blocks and condos, The mall today has an occupancy rate of some 95%. Dijaya has some 22 projects throughout Malaysia with a total gross development value (GDV) of RM31.9bil which makes it among the top ten property developers in the country. As of the second quarter of 2012, Dijaya has unbilled sales of RM636mil, which is a record high. But things are about to change. Dijaya is set to undergo another metamorphosis as it is set to seal an amalgamation exercise with Tan's private property assets mooted in April this year. 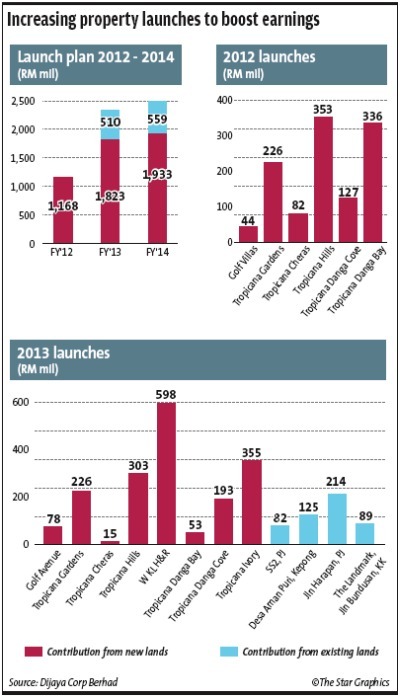 Once completed, Dijaya will add more heft in the property developers league table and improve its size and fortunes. Through this exercise, Tan hopes Dijaya will be catapulted to rank among the ten largest property companies in Malaysia by market capitalisation with a size of approximately RM1bil. It's current market capitalisation is about RM566mil but it will get a lift from the injection of cash and assets from the amalgamation exercise. Last month, shareholders gave their approval to Dijaya's proposed amalgamation exercise to streamline and rationalise the majority of the lands and properties held privately by Tan for RM943mil. The deal will see Dijaya acquire some 73 properties comprising 49 parcels of lands and 16 buildings, valued at some RM1.1bil into Dijaya. This exercise is expected to be completed by the fourth quarter of this year. The exercise will also see Dijaya getting rental income of RM42.7mil or a yield of 8% per year, whichever is higher, over the next nine years. Meanwhile, the new land Dijaya will acquire from Tan will have a potential GDV of RM6.1bil. Upon completion of this exercise, Dijaya will have a total landbank of 913 acres in the Klang Valley, Johor, Penang and Sabah with an estimated GDV of RM38bil to be developed over the next 10 to 15 years. The lettable areas of investment properties will also increase to approximately 1.4 million sq ft from the current 550,000 sq ft. The investment properties are tenanted out, offering average yield of 8%. Needless to say, the exercise is a game changer for Dijaya. When asked how Dijaya plans to achieve that, Dickson says the company is open to mergers and acquisitions with other entrepreneurially run property companies. Interestingly, it was Dickson who persuaded his father to go ahead with the amalgamation exercise, and it took a lot of convincing for a number of reasons. The assets held by Danny that are going to be injected into Dijaya are receiving a healthy rental yield of 8%. Secondly, Danny is receiving less than the market value of his private assets, a necessary loss some might say to overcome the stigma of related party transactions (RPTs) that have been a blight on companies for years. “When Dickson first told me about the amalgamation exercise, I was unsure. First of all, everyone thinks RPTs are bad deals. I didn't want to go through so much effort, only for people to have a bad perception of the company. “I also know that my private assets are valuable, and by injecting it into the company, it would not only significantly increase the value of my company, but we get access to bigger funding facilities. We need big working capital for the big projects. That's how the company grows,” says Danny. Presently, Danny owns 66.4% of Dijaya. He directly owns 30.4%, and indirectly owns 17.8% through Impeccable Ace Sdn Bhd and 18.2% through Golden Diversity Sdn Bhd. “My father is not taking a single sen out of the company. In fact, he is subscribing for the entire portion of his rights issue, which adds up to RM250mil,” says Dickson. Under the deal, the proposed amalgamation exercise will be satisfied by RM250mil cash and the balance via the issuance of a 10-year 2% coupon redeemable convertible unsecured loan stocks (Rculs), with a staggered conversion price range of RM1.30 to RM2.50 over a 10-year period. There will also be a renounceable rights issue of up to 491.3 million new shares of RM1 each, which Danny has committed to take up at least RM250mil, which is also the minimum scenario of the proposed exercise. The chances of Danny triggering a general offer threshold is remote as there are clauses which limit the quantity of RCULS to be converted depending on profits made by Dijaya over the next 10 years. While Dickson admits that it is one of the largest RPTs in Malaysia, he feels that so long it is implemented fairly and without detrimental effect to the interest of minority shareholders, investors should not discriminate against the transaction. Astramina Advisory managing director Wong Muh Rong, who is also the advisor for the deal, says it is unfair for people to always view RPT as a crime. “RPTs done in a fair and transparent manner should in fact be encouraged. Only the owner of a company is able to sacrifice for his own company. The market may be scared of RPTs because of previous bad deals,” says Wong. “However, it is only with this sort of RPTs, that good and prime land can be injected into public companies, and they become bigger. Right now, by going through this amalgamation exercise, the major shareholder has to hire advisers and go through so many complications. There is so much effort and resources spent to execute this deal, when he could simply enjoy the private land on his own,” says Wong. She adds that if RPTs continued to be viewed negatively, in future, property developers with good land bank may think twice before injecting those assets into a company, and this could hinder the growth of a company. “If not for this RPT, Dijaya shareholders will not have the opportunity to have exposure to all the prime development land and investment properties, which provide diversification in earnings stream as opposed to concentrated earnings from property development pre-amalgamation,” says Dickson. “I have no regrets about the amalmagation exercise. I am proud of Dickson for doing something so impactful for the company. Right now I own more than 60% of the company. I don't mind paring down a lot more of my stake if it means bringing in a new partner or embarking in an exercise where my company can go to the next level,” says Danny. “Even if I halve my stake to the 30% level, do you think it is so easy to kick me out of the board?” laughs Danny. “If my children are going to eventually run my company, I only want the best for Dijaya. That's one reason why I want Dijaya to grow big. I do it for my children,” said Danny. His hint of a succession plan follows in the footsteps of Danny's elder brother Tan Sri Vincent Tan Chee Yioun who recently took a backseat to allow his son Datuk Robin Tan to assume the positions of chairman and CEO of Berjaya Corp Bhd. “There are other things in life which are important, like health and happiness. I am not as ambitious as my brother (Vincent). He gets involved in everything! If my children can successfully run my company, then I can go travelling and relax. Right now, I am still working late nights,” says Danny. Having engineered the injection of his father's assets into Dijaya, Dickson feels that's the fastest way to bring value to shareholders. “Through the private assets, we had access to great land bank and great recurring rental income. If we were to be serious in joining the big leagues, then we had to do something drastic,” says Dickson. Having been in the company since 2004, Dickson joined the board of Dijaya in end-2010 as deputy managing director. Dickson says there are numerous hurdles to overcome when a company is small. First up, it's almost impossible to capture the interest of institutional investors, and therefore enhancing shareholders' value becomes difficult. Without interest from the big funds, liquidity becomes an issue. “So increasing our market capitalisation to the RM1bil mark was the first step. Now that we have a strong balance sheet, this gives us better access to debt and equity capital market for funding requirements. I believe it is a matter of time before Dijaya receives attention from investors and be re-rated accordingly,” he says. Secondly the company has been hiring new talents over the last two years, as it prepares for its bigger roadmap. This includes Koong Wai Seng, the former chief financial officer of Sunway City Bhd, Edmond Kong who was previously TA Global Bhd's chief operating officer and Datuk Andy Khoo Poh Chye who previously was managing director of GLM Reit Management Sdn Bhd. All these new recruits now sit on Dijaya's board. Its latest recruit is its new chief marketing officer Richard Tong, who was previously from the Sunrise group. Dickson says Dijaya plans to diversify geographically into the Klang Valley, Penang and Johor. In addition, it has also ventured into Sabah, which is identified as the key regional development area attracting investors from South Korea, Japan and China among others. Through the amalgamation exercise, 24 pieces of land are slated for development and 24 buildings injected for rental income. “Our first target is to exceed the RM100mil net profit mark in financial year 2013. This is possible as the size of our investment properties will increase to 1.4 million sq ft from the current 550,000 sq ft. This also will generate recurring income of approximately RM43mil. Thus, post amalgamation, our estimated group earnings can be more than RM100mil,” explains Dickson. As for Dijaya's financial year (FY) ended Dec 31, 2011, the company has recorded a 51% increase in net profit to RM65mil on the back of a 28.42% increase in revenue to RM375mil. The 417% increase in net profit was mainly due to the fair value adjustment on investment properties as well as contributions from its developments. “I am personally very bullish about the growth of the Johor property market. I wished I had gone there earlier. I was invited by Tan Sri Lim Kang Hoo (executive chairman of Ekovest Bhd) many years back to Johor development projects. I didn't. How I regret not doing so,” says Danny. “I was so surprised that my Johor units sold out faster than some of our Klang Valley units. I truly believe that once the land links between Singapore and Malaysia is sorted out, there will be a whole new dynamic to Johor property,” said Danny. DIJAYA Corp Bhd has been open in saying it is keen to tender for jobs on the Rubber Research Institute Malaysia (RRIM) land now bought over by Kwasa Land Sdn Bhd once the pre-qualification process starts. Deputy managing director Dickson Tan feels Dijaya is the best partner for EPF to jointly develop the southern portion of the RRIM land as part of Dijaya's land borders the RRIM land. “We note that our Tropicana Golf and Country Club is located at the southern part of the RRIM land and we stand to have strategic advantage in tendering for the land when the opportunity arises,” he says. Presently, Tropicana Golf Resort wraps around a major part of their land. In terms of accessibility and pricing, it would make a lot of sense to develop next to an established development. It would not be a problem for Dijaya to relocate a few golf holes to make way for a flyover or access road to connect Petaling Jaya to the RRIM land. Astramina Advisory managing director Wong Muh Rong says that in order to be successful in executing big projects, it is better to have big companies joining forces. “It is easier to have big companies teaming up. Property companies should go for the next level of mergers and acquisitions. If two property companies bid together, they have a much stronger balance sheet, and from there, you see the big multiplier effect,” says Wong. She adds that if it were a single company, perhaps it only had the capability to develop just 200 acres. However if it were two companies, perhaps by virtue of their size, they get to develop 1,000 acres, and from there, the multiplier effect becomes very obvious. Earlier in the week, Kwasa Land Sdn Bhd, a wholly owned subsidiary of the Employees Provident Fund announced that it had finalised the purchase price of RM2.28bil for 2,330 acres of prime Rubber Research Institute land in Klang Valley. It is the master developer for this township. In a statement, Kwasa Land said that the proposed township development is expected to create abundant opportunities for developers and contractors to participate in developing residential and commercial properties, main infrastructures and public amenities for an expected population of 150,000. The planning is now in an advanced stage with the township development expected to commence in 2013. Among the key features in the design and layout plan is a development hub comprising modern residential, commercial, recreational and educational facilities. It will also incorporate an integrated transportation system that links the township via MRT to the rest of Klang Valley. A 7.5km green park of 160 acres will also be among the highlights of this new development. The master plan is being finalised for submission to the Selangor State Planning Committee for approval. Kwasa Land chairman Tan Sri Samsudin Osman in a statement says that Kwasa Land will soon be calling for the pre-qualification of developers. The land will be divided into parcels, developed in phases, and sold to developers according to plot ratios, development components and in conformance with the urban design guidelines by Kwasa Land. “We are looking for experienced property developers with strong track record and who have successfully completed developments with a high gross development value for the past 2 to 3 years.” said Samsudin in the statement. The year 2013 is pretty much a busy one for Dijaya Corp Bhd as it is planning some 12 launches spread over the Klang Valley, Penang and Johor. One of the more imminent ones include The W Hotel & The Residences, which deputy managing director of Dijaya Dickson Tan is personally spearheading. Situated on 1.28 acres of freehold commercial land along Jalan Ampang, The W Hotels & The Residences will have 150 rooms while the residences will have 353 units. In early 2011, Dijaya announced its partnership with Starwood Hotels & Resorts Worldwide, to develop a W Hotel in Kuala Lumpur. Designed by Skidmore, Owings & Merrill LLP from New York, The W Hotel & Residences will be located within the Golden Triangle and is situated along Jalan Ampang, across the Petronas Twin Towers. It is about 500 metres from the Kuala Lumpur Convention Centre. “The W Hotel will truly mark resort living in the city. You will forget that you are in the middle of a bustling city,” says Tan. Another mixed development to be launched which is likely to garner interest in the 88 acre Tropicana Hills in Subang, which is a mixed development of condos, retail lots, offices and a shopping mall. “I think what people want today is affordability. There is strong demand for properties below RM800,000. The trend is now moving away from landed properties because of the affordability factor,” says Tan. Meanwhile, some of the properties being injected into Dijaya which are ready for development are in pretty prime spots. For example, in the Klang Valley, Dijaya will get its hands on pockets of land on Jalan Kia Peng and Jalan Bukit Bintang which are located in the city centre. In Penang, it has land along Jalan Macalister, while in Sabah it has land on Jalan Bundusan. To be exact, the landbank with ready development orders include land in SS13, Subang Jaya (RM200mil), Jalan Kia Peng (RM330mil), Jalan Bukit Bintang (RM680mil), The Landmark (RM90mil), Jalan Segama, Lahad Datu (RM30mil) and Jalan Albert Kwok (RM60mil). Key yielding assets include Dijaya Plaza, Jaya Square, Wisma TT and Casa Square in the Klang Valley, while in Sabah, there is Bangunan Blue 7. As for the Johor property market, Tan says that the buoyancy of demand actually caught the company by surprise. For instance, Tower A of Tropez Residences which was launched last December, has recorded a take up rate of 90% (not taking into account the Bumiputera units), while Tower B and C which were launched this year have recorded take up rates of 87% and 22% respectively. “Profile-wise, some 40% of the homebuyers are Johoreans, another 40% from the Klang Valley and the remainder Singaporeans,” says Tan. Wanting to further capitalise on this growth, in June, Dijaya's 80%-owned subsidiary, Aliran Peluang Sdn Bhd entered into a sales and purchase agreement to buy 11 parcels of land, measuring a total of 2.4 million sq ft, or 55.07 acres, in Mukim Pulai, Johor, for RM105.07mil. Currently, Dijaya has four projects in Johor, namely Tropicana Danga Bay, Tropicana Danga Cove, Tropicana Senibong and now Mukim Pulai. Dijaya has two joint ventures with Iskandar Waterfront Sdn Bhd for its projects in Danga Bay. Tropicana Danga Bay is a 60:40 joint venture between Dijaya andIskandar Waterfront, with an expected GDV of RM3.8bil which will take an estimated eight to 10 years to complete. Tropicana Danga Cove, with more than 220 acres, is earmarked to be developed into a new township with a GDV of RM2.9bil while the 37-acre Tropicana Danga Bay and the injected lands will be turned into a mixed development with a high GDV due to its proximity to city centre. “It was just 5 years ago, that nobody believed the Johor story. However, maybe 5 to 10 years from today, once the infrastructure is complete and the MRT connecting Johor and Singapore is ready, think how prime and in-demand the Johor properties will be,” says Tan. 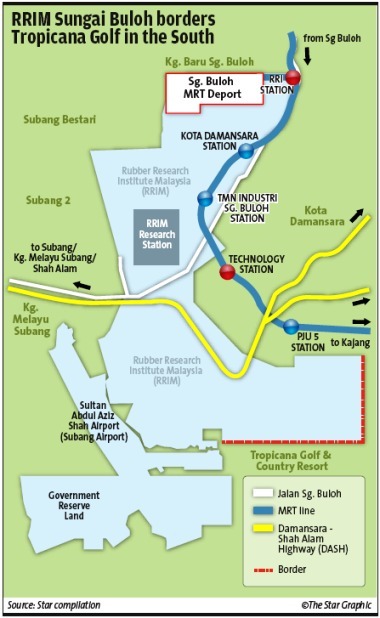 To date, Iskandar Malaysia has attracted investments of RM10.67bil in the first six months of 2012. Cumulative committed investments have reached RM95.45bil, represented mainly by Asia (42%) and Europe (40%). Dickson says that the economic zone of Iskandar Malaysia will continue to be the driving factor in boosting the demand for properties in Johor Bahru. For example, the completion of several major ongoing road and highway projects in Iskandar Malaysia such as the New Coastal Highway, Eastern Dispersal Link Expressway (EDL) and Senai-Pasir Gudang-Desaru Expressway and the widening of Permas Jaya bridge will improve connectivity within Johor Bahru. “Upon completion and commencement of operations, such infrastructure developments will provide a boost to demand of properties in Johor Bahru due to better connectivity. This augurs well for our developments, which are located within the central business district of Iskandar Development Corridor,” says Tan. Last November, Ivory announced that it was entering into a 49:51 joint venture with Dijaya to develop Bayan Mutiara. In March it received shareholder approval for its plan to purchase and develop this piece of land. Tan adds that the masterplan has yet to be submitted, as it is still in the planning stage. The project will be called Penang World City. “It will include a mixed development, which includes high-rise residential as well as commercial components such as shopping mall, board walk al fresco dining area, hotel and an office tower,” said Dickson. 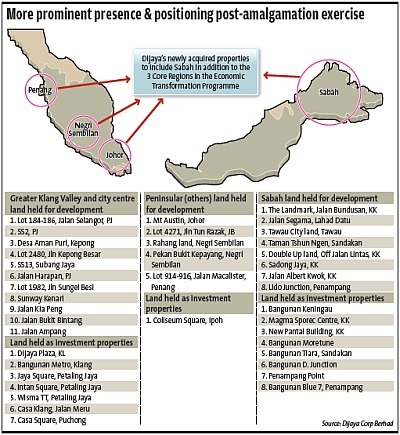 “Acquisitions of development lands in Penang Island by developers have been active in 2011. We are upbeat about the potential growth of the Penang property market, especially with government initiatives to improve the infrastructure and further attracting investments into Penang,” says Tan. The rising cost of housing has become a phenomenon in many countries, causing enormous social concerns particularly for the lower and middle income groups. Indeed, from the more than 4,000 suggestions and comments our Prime Minister received online in his preparation for Budget 2013, the price of housing was one of the two hottest topics raised. What can we do to alleviate this conundrum? State and federal governments should remain the prime providers and managers of affordable housing. With the improved road infrastructure, suburban land owned by them are now more accessible and can be alienated for affordable housing schemes. Contractors with an excellent track record should be selected to build the houses at the lowest price so that houses can be sold to eligible buyers at affordable prices. The Government can also auction and sell land at the highest bid price and use the proceeds to fund the schemes. Private developers which buy land at a high cost would invariably seek to optimise the usage of land by building high-end houses and commercial properties. The authorities have to set a stringent development quota for affordable housing. As government intervention should be kept to a minimum for the market forces to function, developers should be allowed to pay cash compensation should they decide not to build in accordance with the quota set. Such compensation may also be used for affordable housing schemes. Several countries have introduced tougher measures to curb speculation, a major factor to escalating home prices. Singapore, for instance, changed its stamp duty rules on Dec 8, 2011 and imposed a 10% duty on top of the normal rate on foreigners and non-individuals. Stamp duty chargeable on vendors of up to 3% was introduced on Aug 30, 2010 and revised to 16% on Jan 13, 2011. The slew of stern measures have been fairly effective. From Jan 28, 2011, two major cities in China, Shanghai and Chongqing pioneered the collection of real estate taxes on certain categories of house purchases, including second homes and luxury properties at rates ranging from 0.4%-0.6% and 0.5%-1.2% respectively. Malaysia can do likewise by reinstating the Real Property Gains Tax on gains from residential property disposed of within two years at 30%, replacing the current mild rate of 10%. Concurrently, the stamp duty of up to 3% can be increased and be levied on both the buyer and seller in respect of any properties transacted by foreigners and high end properties purchased by the locals who already own one. The recent Bank Negara rules introduced to restrict the borrowings on buyers who own more than two houses have dampened the sales of developers considerably. To keep the business going, many developers are undertaking promotional activities abroad to lure foreign investors, particularly those from China, Japan and Singapore who often find Malaysian properties unbelievably cheap. Some investors, especially those who enlist in the My Malaysia Second Home (MM2H) programme, snap up property almost instantaneously without much consideration. It does not make economic sense to shut our doors to foreign investors completely but we can set a higher price threshold for foreigners and take advantage of the inflows to collect more tax revenue. The additional revenue collected can be gainfully used to help more people to own a house. The Government can extend the interest deduction scheme introduced in 2009 under which eligible individuals are given three years' tax deduction in respect of interest incurred of up to RM10,000 per year. Hong Kong in its 2012/2013 budget extended the annual home loan interest deduction of up to HK$100,000 from 10 years to 15 years. Our government has thus far been considerate by providing a 50% stamp duty exemption on purchases of residential property not exceeding RM350,000 from Jan 1, 2011 to Dec 31, 2012 and a 100% exemption for property priced up to RM300,000 purchased under the Skim Perumahan Rakyat 1 Malaysia (PR1MA) from 2012 to 2016. In view of the high home prices, the Government should consider giving full stamp duty exemption on purchase of residential property not exceeding RM500,000 by first time house buyers. In China, the real estate tax revenue collected is to be used to subsidise the construction of affordable houses and the Chinese government has targeted to build 10 million units of affordable houses in 2011. Singapore, on the other hand, offers Central Provident Fund (CPF) housing grants to various eligible groups. Applicants living near parents are given a princely grant of S$15,000 to S$40,000. Presently, there is a housing loan scheme allowing a maximum loan of RM45,000 offered by our Housing and Local Government Ministry to the households which earn between RM750 to RM2,500 per month. More funds can be channelled to this scheme to increase the qualifying household income to RM8,000 a month. Developers can certainly play a part in boosting the home ownership by introducing flexi-schemes such as lease with an option to buy and allowing the conversion of lease rental paid to settlement of purchase consideration if the option is exercised. Malaysian developers may consider adopting an interesting shared ownership scheme practiced in the United Kingdom where a buyer can co-own residential property ranging from 25% to 75% of the overall property value with another party which can be either the housing developer or housing association and pays a rent in respect of the share he does not own. The buyer is allowed to increase his ownership as his disposable income increases over time. The lower capital outlay assists the aspiring young own a house at the early phase of his career, encourages him to work harder and save more to eventually acquire absolute ownership of the property. Strict financial discipline is imperative if one who starts from scratch harbours a hope of owning a house early. Undoubtedly, the authorities, the developers and the people concerned collectively play pivotal roles in realising the home ownership dream of the lower and middle income groups. 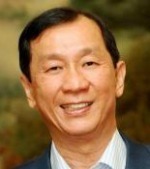 Yee Wing Peng is the Country Tax Leader of Deloitte Malaysia. He considers himself fortunate as he was able to purchase, with a mortgage loan, a 20X70 link house costing RM220,000 after 6 years of work. He now has concerns for his three children. PROPERTY developers and construction firms will be looking forward to the details of the pre-qualification process for the Rubber Research Institute (RRI) land in Sungai Buloh, following the finalisation of the sale of this real estate to the Employees Provident Fund's (EPF) subsidiary Kwasa Land Sdn Bhd. Kwasa Land, the master developer, acquired 2,330 acres out of the approximately 3,000 acres of RRI land from the Malaysian Rubber Board for RM2.28bil or RM22.50 per sq ft, confirming speculation of recent months that the land will be acquired for more than RM2bil. This land will be turned into the township of Kwasa Damansara, which will have a development period of up to 15 years and include a mix of residential and commercial properties, infrastructure and public amenities for an expected population of 150,000. StarBizWeek understands that the terms and conditions of the pre-qualification process will be announced next week. Who will be developing the township? There was a lot of buzz when Prime Minister Datuk Seri Najib Tun Razak proposed during Budget 2009 about the development or redevelopment of strategic parcels of government-owned land in and around the Klang Valley, including in Kuala Lumpur, as part of several mega-projects aimed at boosting the economy. The land, which falls under the jurisdiction of the Petaling Jaya and Shah Alam city councils, has a mixture of both freehold and leasehold parcels with the southern portion being the most valuable as it adjoins the upmarket Tropicana Golf & Country Resort. Property valuers say that any premium to the tender price will depend on a number of factors including, as KGV-Lambert Smith Hampton (M) Sdn Bhd executive director (valuation) Anthony Chua points out, whether the land is parcelled out as converted or unconverted land. “Parcels within the southern portion of the RRI land to fetch a higher value as they border the high-end developments of Tropicana and Ara Damansara,” Chua says. The northern portion is closer to the Sungai Buloh New Village and is less developed. VPC Alliance (KL) Sdn Bhd managing director James Wong says the portion of the RRI land which has a Petaling Jaya address will fetch a premium. Valuers also point out that the tender price must also take into account that Kwasa Land is responsible for the necessary approvals and the construction of the main infrastructure. A valuer says developers will need to factor in the holding costs especially if they are tendering for larger parcels which take a longer time to develop. Accordingly, developers that match Kwasa Land's criteria will be lining up to get a piece of the action, notwithstanding the current soft sentiment of the property market. First in line will be Malaysian Resources Corp Bhd (MRCB), in which the EPF has a controlling 42.20% stake. A property-and-construction firm best known for its multi-billion ringgit Kuala Lumpur Sentral project, MRCB stands to benefit for years from not just property development but also civil infrastructure projects for the township. MRCB's share price closed six sen higher at RM1.67 on Monday after hitting an intra-day high of RM1.70. Reports indicate that besides MRCB, others that may stand to benefit include those companies in which the EPF hold stakes but may not necessarily have property development as their main or only business. This includes IJM Corp Bhd, in which the EPF has a 16.31% stake. According to a HwangDBS Vickers Research report, IJM Corp's subsidiary IJM Land Bhd, in which the EPF has a direct 5.46% stake, contributes 38% of earnings. Conglomerate Sime Darby Bhd, in which the EPF has a 12.61% stake may tender for a parcel of land. The group's property division has experience in township development with projects strung along the Guthrie Corridor Expressway. There is also SP Setia Bhd, in which the EPF has a 5.24% stake. While the developer has not indicated interest, it also has experience in township development with Setia Alam in Shah Alam and in Johor. Dijaya Corp Bhd is another developer which may benefit. Being the developer of the Tropicana Golf & Country Resort may give the company an advantage as it is familiar with the market. However, Kwasa Land has denied having talks with the company after StarBizWeek reported early last month that the company was in discussions to develop part of the southern portion of the land. Affin Investment Bank Bhd analyst Isaac Chow says in a report dated Aug 28 that the cost to Kwasa Land for the acquisition of the land may translate into lower land cost for developers and enable them to launch properties at more affordable prices while maintaining a healthy profit margin. GEORGE TOWN: Hunza Properties Bhd (HPB) is looking to conclude some 80 per cent of tenancy deals for its lifestyle shopping mall, which will be ready by the middle of 2013. Executive chairman Datuk Khor Teng Tong said the company, which plans to hold and manage the mall, a component of its Gurney Paragon development here, has engaged experts from Singapore and Kuala Lumpur to ensure smooth operations of the mall, expected to boast new retail names in Penang. "The rental income stream from the mall in future will enable the group to have a strong base of recurring income," he told a media briefing here on Wednesday. Sited on a plot of 4.08ha freehold land, Gurney Paragon is an integrated development comprising two blocks of high-end condominiums, an office block, St Joseph's Novitiate, three-storey podium retail lots and a shopping mall which total some 700,000 sq ft.
Khor said about 57 per cent of net lettable space has been rented out to tenants such as food and beverage outlets and beauty and wellness operators. Industry experts have also speculated that HPB is looking to list its Gurney Paragon lifestyle mall in a real estate investment trust on Bursa Malaysia some three years after the mall is in operation. Of the total 220 Gurney Paragon condominiums, only 13 more units have been left unsold and the company is looking to sell these by the end of the year. On the progress being made on HPB's 6.48ha plot of land acquired in Bayan Baru, Khor said the company expects to complete the required affordable housing units for affected squatters by 2014. He said of the 800 who are entitled to be compensated, some 200 squatters were not owners of the squatter homes. "We are looking to construct some 800 units of affordable housing so that squatters who are entitled to be relocated can move into their new units," he added, saying that the new units will be located within close proximity to their existing homes. "Only once this is done will we break ground on the project, which is currently tagged at RM4 billion," he said. Land cost and relocation of squatters are expected to cost some RM200 million. Malaysian Resources Corp Bhd (MRCB) hopes the government will take over the 8.1km Eastern Dispersal Link (EDL) in Johor and its debt as soon as possible, as the highway is eating into the group's profitability. "We will also be seeking compensation from the government. In the meantime, we will focus on existing projects and other ventures," a company official told Business Times. However, he declined to say how much MRCB will be seeking from the government. MRCB, a property and infrastructure developer, reported a 71.32 per cent fall in net profit to RM5.2 million in the second quarter ended June 30 2012, from RM17.98 million in the previous corresponding period. This is attributed to non-recognition of revenue from the EDL due to non-tolling issues. The EDL, which opened on April 1, became a hot topic after it was announced that road users to and from Singapore face a RM15.30 toll. 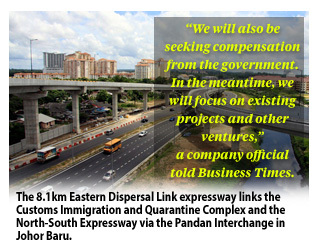 The RM1.4 billion expressway links the Customs Immigration and Quarantine Complex (CIQ) and the North-South Expressway via the Pandan Interchange in Johor Baru. MRCB was awarded the project under a 30-year concession. The concession agreement stated clearly that toll collection will be at the CIQ and start in May, which will then allow MRCB to meet its debt repayment obligations. As at December 31 2011, MRCB had senior and junior sukuk amounting to RM1.06 billion, which were secured by the EDL project and repayable in a series of yearly redemption commencing in 2018. MRCB is required to service the finance costs - to the tune of RM7 million a month - despite no toll charges for the EDL. It is learnt that MRCB has accumulated some RM40 million start-up losses for the EDL when it opened in April. At the company's shareholders meeting in April, MRCB chairman Tan Sri Azlan Zainol expressed hope that the government will consider buying the EDL at market value. "We hope that there will be a win-win situation for the government, the people and MRCB shareholders. We do not know the market value but the total project cost was RM1.4 billion," Azlan said. MRCB has been negotiating with the government since May for some form of compensation to cushion the operating costs as well as the possibility of agreeing in-principle to take over the expressway. On Thursday, Minister in the Prime Minister's Department Tan Sri Nor Mohamed Yakcop said the government will acquire the EDL from MRCB to settle issues related to policy and toll charges.